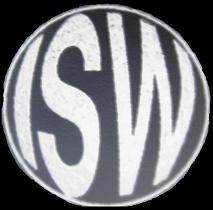 At ISW we specialize in repair of vintage vacuum tube designed guitar, bass, and keyboard amplifiers. These types of amps where generally uncomplicated designs with a minimum of components. These circuits are run at very high DC voltages (typically 350 to 600v) and as such the components are subjected to high heat from the tubes as well as shock and vibration; in short they require periodic maintenance. Beyond the replacement of tubes, and the occasional blown speaker, the components that need to be addressed in nearly every case are the electrolytic capacitors. Typical service life for such capacitors tends to be 10 to 15 years depending on how they are used in the circuit and the sort of treatment and use that the amp has experienced. Symptoms of failing or failed electrolytic capacitors range from annoying hum all the way up to blowing fuses. If you’re lucky you’ve got the proper fuse in your amp and the blowing of this fuse protected the power transformers (or other components) from being damaged by the failing caps. Bottom line, if your amp is more than 20 years old you should give serious consideration to the replacement of the electrolytic caps especially if you are using such an amp for gigs. Other areas of consideration include replacement of carbon composition resistors especially those used as plate load resistors or screen load resistors. These take a beating and when starting to fail may exhibit spurious noises like snap, crackle and pops or in the case of screen grid resistors may fail and take out a tube or blow a fuse. Give me a call and we discuss various options to get the best tone and performance out of your amp !